Go on vacation with Allison Brennan's Lucy Kincaid, where she saves a man from drowning, only to discover he is in far greater danger on land. Meet Roxanne St. Claire's "bullet catcher"--bodyguard Donovan Rush--who may have met his match in the sexually charged "Diamond Drop." Debut author William Simon shows us what happens when the granddaughter of the president of the United States is kidnapped. 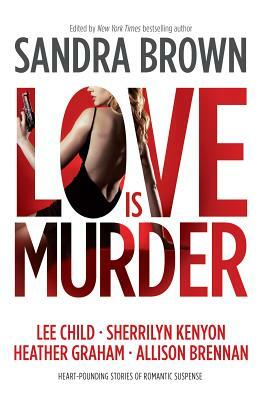 And Lee Child's pitch-perfect "I Heard a Romantic Story" puts a whole new spin on Love Is Murder. Bodyguards, vigilantes, stalkers, serial killers, women (and men ) in jeopardy, cops, thieves, P.I.s, killers--these all-new stories will keep you thrilled and chilled late into the night.